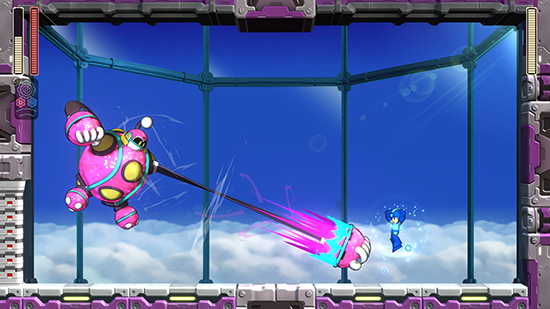 In Mega Man 11, (called Rockman in Japan) players must jump, slide, shoot, and more through challenging stages and take on powerful bosses Dr. Wily controls, otherwise known as Robot Masters. Defeating the bosses and absorbing their powers is the heart of the game. Dr. Light installs the new prototype Double Gear system in the heroic blue ‘bot, imbuing Mega Man with brand new skills that allow him to slow the flow of time or power up his trusty Mega Buster and other weapons on the fly. Mega Man however isn’t the only one with access to the new gear system; Dr. Wily has also installed the Double Gear system in the powerful Robot Masters! Players will need to use everything at their disposal to take down Dr. Wily in the fight for everlasting peace. To celebrate the release of Mega Man 11, Capcom has released a brand-new launch trailer (above) that gives players a snapshot of Mega Man’s latest robot-busting journey while also teasing a familiar one-eyed face. Gear up! 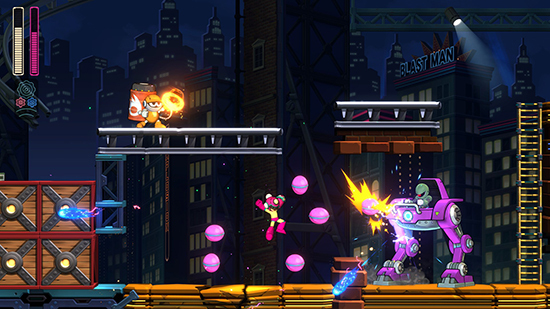 Take advantage of the Double Gear system – A unique new twist on the satisfying platforming action, offering options to enhance Mega Man’s speed and power on the fly. For vets and first-timers – Multiple difficulty options are available for a player of any platformer skill level. Controls for an on-screen weapon wheel have been added for easy accessibility to all of Mega Man’s weapons during combat. Multitude of classic and unique Challenge Modes – Tackle a wealth of classic Challenge Modes such as Time Attack or Score Attack as well as several other unique Challenge Modes like Balloon Rush, Jump Saver and more. Bust to the top of the Online Leaderboards – Best your buddies’ scores or times across several Challenge Modes or simply aim for the top, challenging players around the world. A nifty auto-upload option ensures your score/time is uploaded automatically to the Online Leaderboards. Get caught up on robo-lore in the Gallery – Get up close and check out the unusual and wonderful characters of Mega Man 11! Ready, Set, BLAST! The long-awaited sequel Mega Man 11 is out now across North America both at retail and digitally for Nintendo Switch, PlayStation 4 computer entertainment system and the Xbox One family of devices including the Xbox One X, plus a digital release on Windows PC. In the US and Canada, a physical collector’s release is available for Nintendo Switch in limited quantities and includes a new Mega Man amiibo and more memorable, collectible goods. 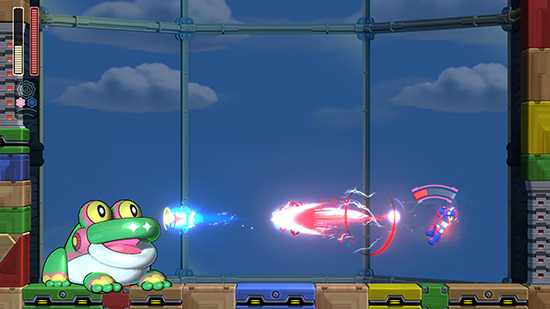 Blending classic side-scrolling action gameplay with unique new features and a fresh new look, players can join the Blue Bomber on his new adventure alongside iconic series friends like his creator Dr. Light and robot dog Rush to take down long-time moustachioed series villain Dr. Wily!